Apologies for going “off piste” a little with the subject matter, but could not let this result pass without a salute to the young Welshman, Elfyn Evans. He has finished a superb 5th in the Wales GB Rally! Just 1.24 s down on the Winner Sebastion Ogier (VW) and just in front of Citroen’s Kris Meeke. Meeke had terrible last minute issues with punctures. Elfyn driving the incredible WRC Ford Fiesta. 300bhp + from 1.6 Turbo, 4 wheel drive……….. Mouth watering! Managed by Malcolm Wilson, M-Sport supremo. 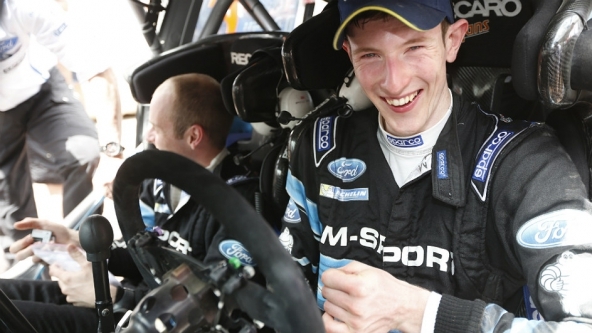 Elfyn is one to watch. I predict a great future for him and wish him all the Best! Well done!